Tooth sensitivity is a common dental ailment, which is why home remedies and over-the-counter (OTC) solutions for toothaches are so common. However, in most cases, such solutions only offer temporary toothache relief, if they offer any relief at all. That’s because the problem behind the sensitivity is often more serious than a simple remedy can cure. 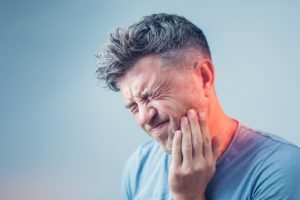 Fortunately, patients in North Hollywood can find permanent solutions to their toothaches by allowing their dentist to diagnose and treat the causes of them, which often involves one of these three common dental procedures. Cavities are the most common chronic tooth issue, and therefore, they’re one of the most frequent causes of toothaches. If your tooth hurts because tooth decay has caused a cavity to form in it, then you may require a tooth-colored filling to remove the infection and restore the tooth’s affected structure. Once in place, the filling will seal away the sensitive parts of the tooth and stop oral bacteria or food particles from irritating it. Some cases of tooth decay can become too invasive for a tooth filling to fix, and relieving the more intense discomfort of internal decay could require root canal treatment. The procedure removes the bacteria and infected tissues (including the nerves) from the tooth’s pulp and root canal. Then, much like a filling procedure, your dentist will fill and restore the tooth’s inner structures with a strong, durable, and biocompatible material. Besides tooth decay, bruxism (chronic teeth-grinding) is another common cause of tooth sensitivity. If you have bruxism, then the unrelenting pressures of grinding your teeth can wear down their protective enamel, and eventually, their main structures. The more severely your teeth wear down, the more sensitive they’ll become, though your dentist can help you stop grinding your teeth with a custom-designed bruxism appliance. The most effective treatment for your toothache will depend on it’s cause, but addressing it as soon as possible is always the best option. For more information, schedule a consultation by calling Modern Smile in North Hollywood, CA, today at 818-763-9353. We also proudly serve patients who live in Burbank, Toluca Lake, and all surrounding communities. 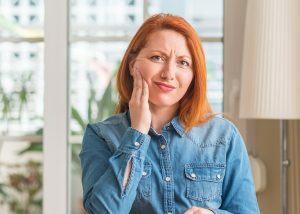 If you’ve dealt with a toothache for a while, then you may have noticed that it’s growing more frequent and severe as time goes by. Even if you’ve been able to find temporary relief with home remedies here and there, the pain continues because there’s an underlying cause behind it. That may include damage to your tooth structure, a developing tooth infection, exposure of your teeth roots, or any number of other potential factors. Until the specific cause is addressed, you won’t be able to effectively relieve your toothache. What Kind of Toothache Is It? The most common forms of toothaches are caused by some sort of disturbance to your tooth structure. For instance, if your tooth is cracked or fractured, then the nerves might be exposed, leading to intense discomfort every time you bite and chew. If your tooth is starting to grow weaker because its enamel is eroding, then the aching might not be so prominent at first, but will grow more severe as the enamel becomes compromised. In some cases, aching or sensitive teeth can be the result of your teeth roots being exposed due to gum disease or recession. Despite the many possible causes of a toothache, the good news is that they all can be addressed with appropriate care and treatment from your dentist. For instance, if your tooth is fractured, then it can be fixed with a crown, which restores the tooth and seals away its sensitive structures. If your enamel is compromised, then you may be able to strengthen it, or to treat the cavity that has formed before it grows more severe. For patients with gum disease, preventive treatment and laser periodontal treatment can help restore their healthy gums and the protection around their sensitive teeth roots. Toothaches typically indicate a dental issue that only your dentist can address, so relieving yours may require professional dental treatment. To learn more, schedule a consultation by calling Modern Smile in North Hollywood, CA, today at 818-763-9353. We also proudly serve patients who live in Burbank, Toluca Lake, and all surrounding communities.